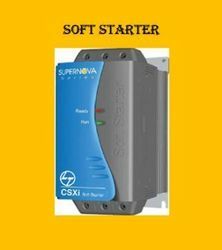 Supplier & Manufacturer of Soft Starter. Our product range also comprises of Servo Motor, Servo Drive and Delta VFD.These are the quality products manufactured by quality raw material. We are the manufacturer and supplier of Soft Starter which is a device used with electric motors. Soft starter is used to reduce mechanical stress on the motor and to reduce electromechanical stress also.